At its third annual Google for India event in New Delhi today, the company announced that it’s rolling out Android Oreo (Go Edition), a lightweight version of its mobile platform that’s designed to run smoothly on low-end phones. Google first announced its Go variant at its IO event in May; it’s now ready to release it along with Android Oreo 8.1 tomorrow. The idea is to support devices with 512MB-1GB of RAM, so as to help more people who are coming online for the first time experience as many Google products as possible. The company explained that Android Go features an optimized OS, tuned to launch apps 15 percent faster than the standard version. 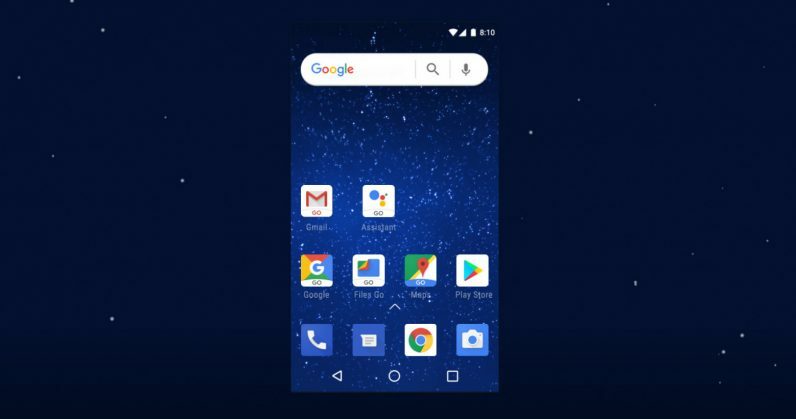 It also comes with a bunch of Google apps rebuilt for a smoother experience on low-spec devices; together, they take up 50 percent less space than a standard Android Nougat install. At the same time, it comes with all the security features that are standard with Android O. To further streamline the experience, the custom Google Play store highlights apps that are designed specially for Go Edition devices, and the company’s Data Saver feature is enabled by default. Google says that can help cost-conscious users save up to 600MB of mobile data per year on their phones. Go Edition comes with a bunch of preloaded apps that have been optimized as well, including a new search experience called Google Go, Google Assistant Go, YouTube Go, Google Maps Go, Gmail Go, Gboard, and the recently launched Files Go file management tool. With that, Google is set to become the most recognizable brand for people experiencing mobile devices and the internet for the first time in developing countries. In addition to making Android Go available, it noted that a number of phones with the OS will hit store shelves in the coming months. The company stressed that it’s building for India first, where it can tackle real problems and innovate to develop solutions that then scale across the globe. It just added a handy two-wheeler mode to Google Maps for users in India, where 70 percent of registered vehicles are motorbikes. There’s more where that came from; follow us here for more coverage from Google’s event.